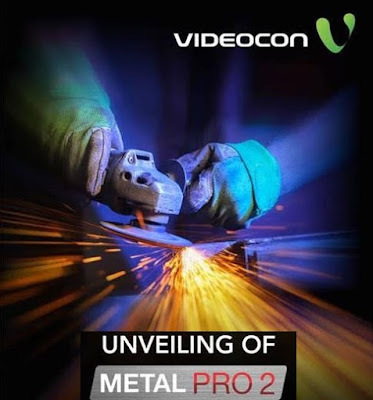 A stunning combination of enviable design and commendable functionality, the newly launched Metal Pro 2 smartphone from Videocon sports a premium look with sleek & metal back body. The new and elegant Metal Pro 2 comes packed with 2GB RAM and Android 7.0 (Nougat) offering a seamless experience to users. The Metal Pro 2 features 13MP front camera and 3.2 MP rear camera with LED flash for a perfect selfie experience. It has a great pre-embedded technology called ‘MiraVision’, which works on an advance algorithm model and enhances visual quality of display by altering various picture attributes. The device also offers 4G VoLTE connectivity. Adding more to the platter, Metal Pro 2 offers an inbuilt memory of 16GB which is expandable by 128GB and thus provides extensive storage for music, videos, pictures and applications. The lighter and thinner Metal Pro 2 with a 5 inch display easily fits your hands owing to its matchless grip. Moreover, an elegantand smooth metal back panel protects the masterpiece from dust, making it a pleasure to hold, while the sophisticated design and alluring impression of Metal Pro 2 make it a pertinent choice for all style conscious consumers. An efficient device and a definite showstopper in terms of looks, the captivating Metal Pro 2 continues to carry the SOS-Be-Safe and panic button which allow users to alert their near and dear ones under emergency situations. Offering a 1 year subscription of Eros Now & a full paid version game of Game loft, Metal Pro 2 turns the right pegs for keeping the users entertained. Available in two sophisticated shades, Gold and Space Grey, Metal Pro 2 will be available at a special introductory price of INR 6999. The new Videocon Metal Pro 2 will be available in all multibrand retails stores across India by end of this month. The device comes with 100 days replacement policy*.